In 2016, we started the amazing task of documenting the stories of Black men on what it is to be sexually fluid in the United States. Black bi+ cisgender and transgender men as well as gender non-conforming people living within the complex spectrum of masculinities have spoken to us–sharing the realities of their experience–for the forthcoming film, No Homo | No Hetero. Although it might seem obvious given that we’re Black bi+ men why we would do so, we both had our own reasons for choosing this project. Herukhuti had spent several years in the national bi+ activist community oftentimes one of a very few Black men at the table, on the conference calls, or tapped to speak as a thought leader. Navigating tokenism, anti-Blackness, hypervisibility, racism, and the perceived threat that Black masculinities engender was both a challenge and opportunity to consider the limitations of cross-cultural solidarity. That work is emotionally and psychically draining and can lead to feelings of isolation, frustration, exhaustion, and futility. After noticing the lack of Black bisexual men in television, David decided to create his own series, Bi The Webseries, to fill the void. 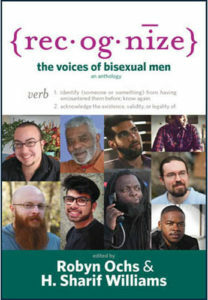 Through the series, David met bisexual activists including Herukhuti and J. Christopher Neal, founder of FluidBiDesign and MenKind, a discussion group for sexually fluid men of African descent. Inspired by the conversations in MenKind and moved by the many people who reached out to him via social media to express their appreciation for his work on bi+ visibility, David considered No Homo | No Hetero to be another platform for men who are Black and bisexual to tell their stories as a part of the human experience. Over the last several months, we have been reviewing and transcripting all of our footage. It has been inspiring and exciting to reconnect with the stories, voices, and images of the diverse group of men who have participated in the film. They are beautiful and poignant. Painful and hopeful. Critical and compassionate. If it is possible, we are even more committed than when we started this project to allow the power of Black bi+ masculinities to radiate through the final film we craft. The men in our film represent multiple generations and ranged in ages from their late 20s to their 80s. 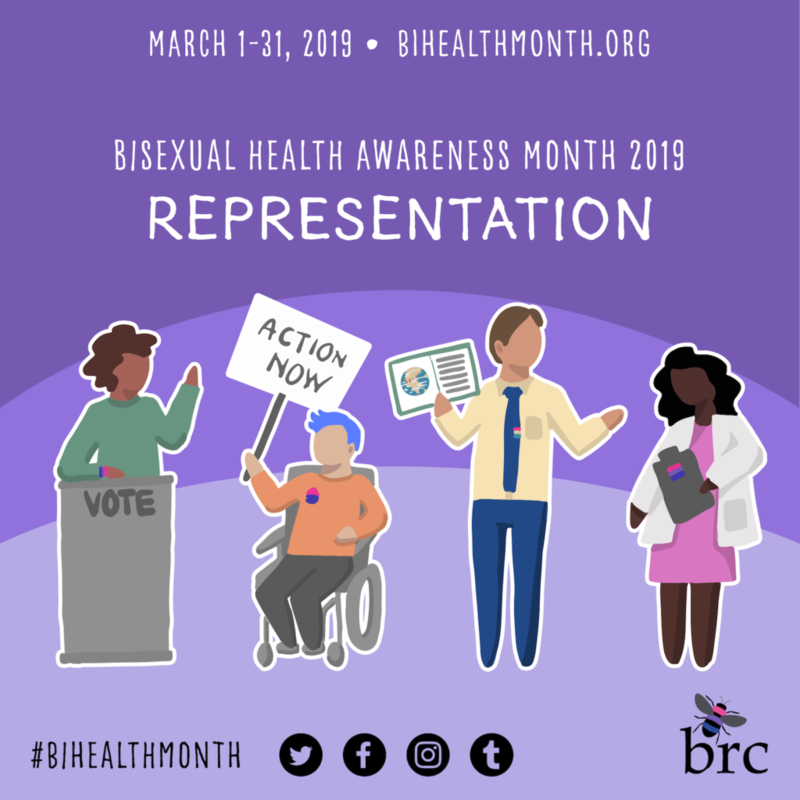 What we have learned from our brothers and elders in No Homo | No Hetero has given us particular insight on this year’s Bisexual Health Awareness Month theme, Representation. For most Black bi+ males, fighting or LGBT rights or even bi+ rights is not the central focus of their lives. They love who they love, struggle to form relationships that nourish them, and go about their daily lives sandwiched between cisheteropatriarchy and homonormativity. Oftentimes, when confronted by monosexism and biphobia, they internalize those experiences, blaming themselves or interpreting them as isolated cases. It’s when they have the opportunity to talk with other Black bi+ males about their experiences that they realize that while there may be differences and nuances among them, they share and deal with common challenges of social violence and structural inequities. Their Blackness makes living in the popular queer culture of pride parades, circuit parties, rainbow flag capitalism, and lookism designed to nurture white gay men awkward at best and harmful at worst. But they also struggle to find things that look familiar in bisexual spaces as well, particularly when those spaces contain the same anxieties, tensions, and prejudices about Black masculinities that exist in the larger society. Their sexual fluidity makes it difficult to operate within the toxic masculinity of cishet male culture and the misogyny of gay male culture. They don’t carry the belief, which is born of cishet male privilege, that because they are male they can’t be, shouldn’t be the object/target of the male gaze. Nor do they feel comfortable referring to women as fish or femininity as cunty, which is part of gay male slang. Their relationships with women don’t conform to the faghag and her gay bestie-hairdresser-stylist-make-up artist dynamics on reality TV. So many of the men in the film have had to create their own definitions of sexual fluidity and develop a personal understanding of their sexuality with little to no examples or resources. They encountered examples of heterosexuality and homosexuality growing up. Some of them may have tried to adopt those ways of being in an effort to find themselves but they couldn’t find home in their own skin clothed in heterosexual or homosexual drag. Finding bi+ resources for, by, and about Black people is so rare that when they found them it was liberating. They knew they were not alone, messed up, or a problem because some resource provided something familiar, a clue to their shared humanity as Black bi+ persons. A book encountered by chance in the library, a web series found on YouTube, a member of the community who is unapologetically Black and bi+, a song about non-monosexual love played in the club, or a piece of art demonstrating love without limits can all provide possibilities models for lihving and loving at the nexus of Blackness, sexuality fluidity, and masculinities/manhood. The presence of possibility models are too few and far between. When one is luckily to have more than one such model, Black bi+ men have to leap from one to the other across a raging, roaring river of cisheteropatriarchy and homonormativity. “Is he gay? I know he’s gay. He just needs to come out the closet and be honest.” That’s the sentiment that many straight and gay audiences say when considering a male character whose sexuality is not clearly defined and whose gender is not completely steeped in toxic masculine tropes. A Black man who is not clearly straight and masculine is automatically gay for many people. As a Black bi+ man, there is another possibility that they sense in the marrow of their bones, born of their own lived experiences traversing both the sexual and gender binaries. They are able to consider the in-between and mixities–the liminal and interstitial spaces that are a no man’s land for others but are home for us. For Black bi+ men, ambiguity, fluidity, and the seeming lack of a definitive sexual or gender positionaily of a character are hopeful signs of a representation of Black male sexual fluidity. Network executives, showrunners, writers, directors, content producers, playwrights, songwriters, and other creatives have an enormous role to play in the creation of stories and characters that reflect more expansive and nuanced representations of life. Representation matters. And the humanizing of Black bi+ masculinities in media can foster healing, unity, authentic living in Black communities across the country. It can support Black bi+ men in speaking their truth to their families, friends, and loved ones. It can help people understand the Black bi+ males in their lives and embrace them when they share their truths. The men who’ve shared their experiences with us have reminded us over and over again–representation matters. You can help us make this historic film, No Homo | No Hetero, by contributing to our efforts to raise $60,000 for our post-production expenses. To make a tax-deductible donation to our project through our fiscal sponsor Third World Newsreel, go to http://www.nycharities.org/donate/c_donate.asp?CharityCode=2026&designation=NoHomoNoHetero. 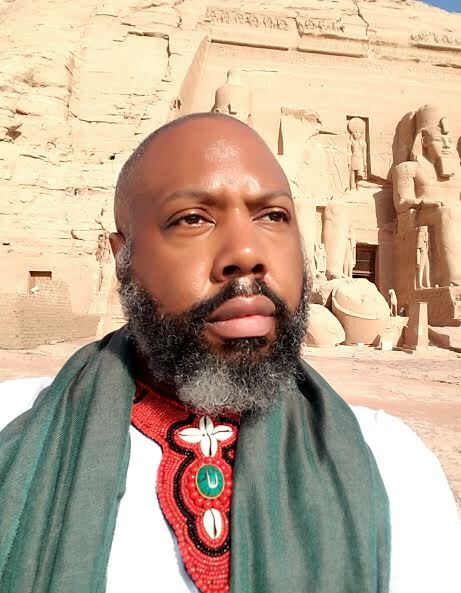 H. “Herukhuti” Sharif Williams is executive producer and co-director of the forthcoming documentary film, No Homo | No Hetero, chief erotics officer of the Center for Culture, Sexuality and Spirituality, and professor of sexuality studies at Goddard College. David J. Cork is an actor, writer, and creator from Indianapolis, Indiana. After transferring from Clark Atlanta University in Atlanta, GA, to New York University, he completed his BFA in drama from Tisch School of the Arts. After graduation, David has gone on to appear in commercials, plays, film and television productions. Some of his favorite credits include Zoohouse (National Black Theater), Gun Hill (BET), and The Breeding (Novo Novus Productions). 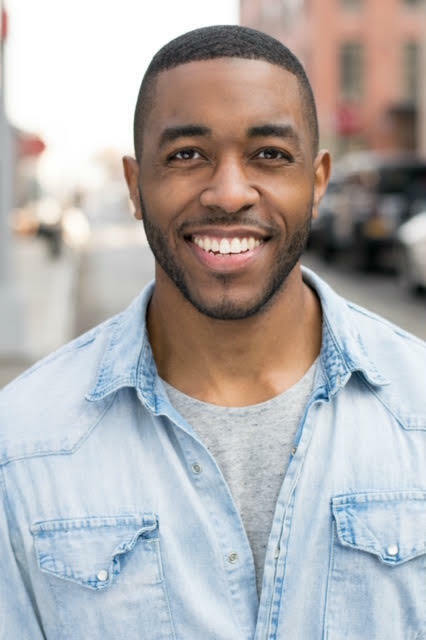 As a writer and creator, David and his production company BiUS Entertainment have released Bi: The Webseries, with David staring as Alex Walker, a young black bisexual man looking for love in New York City. The series has been featured in NBC OUT, LGBT Update, Huffington Post, and Now This Entertainment highlighting the show’s unique and fresh point of view. David is currently working on the documentary No Homo, No Hetero with bisexual activist and author, H. Sharif “Herukhuti” Williams, Ph.D, M.Ed, which will explore the relationship between masculinity and identity in black bisexual men.